The Cassiopeia constellation holds a special place in my heart from when I began to really delve into my love for astronomy. For its unique beauty and mythological history, it is my favorite of the 88 official constellations. I observed Cassiopeia for the first time in early October of 2017 while making observations for a high school astronomy course senior year. A few nights later, I returned and was able to identify this constellation without the use of any aid — just my own memory. And so Cassiopeia is the star cluster I always turn to and try to find, each time I look up at the sky. Cassiopeia is a circumpolar constellation, which means that it circles around the north star Polaris, never setting beneath the horizon for most locations north of the equator. From here in Boston, Cassiopeia can be seen all throughout the night at all times of year, recognized by its distinctive W or M shape. If you look in the northern sky across BU Beach toward the river, Cassiopeia will be opposite of the Big Dipper, on the other side of Polaris, which is located in between Cassiopeia and the Big Dipper. Right next to Cassiopeia is the constellation Cepheus, her husband. 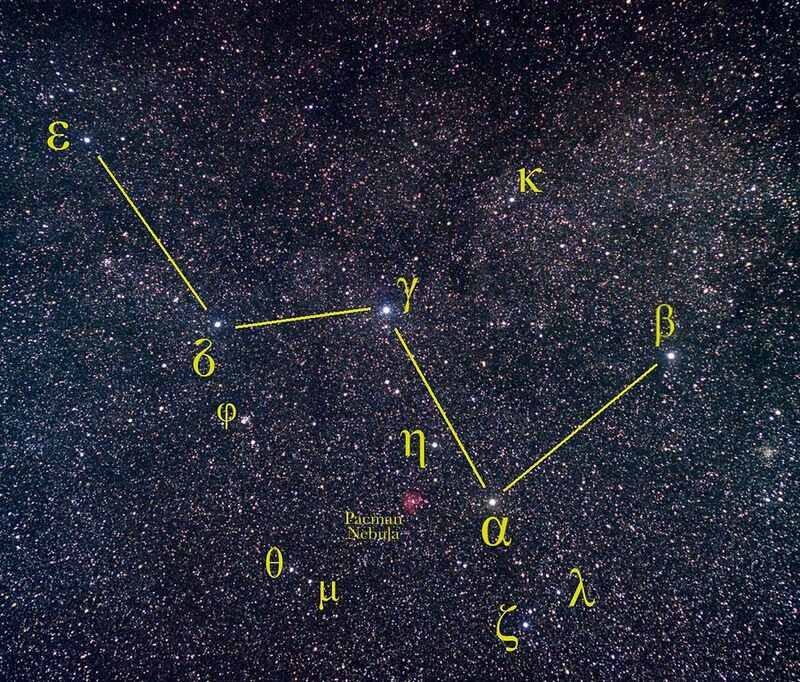 As per Greek mythology, Cassiopeia and Cepheus are the king and queen of Aethiopia, and their daughter is Andromeda. The beautiful and vain Cassiopeia declares that she and her daughter are more beautiful than the Nereids, daughters of the sea god Nereus. In return, Poseidon punished the kingdom Aethiopia (punishments vary by legend). Following the counsel of an oracle, Cassiopeia and Cepheus chain Andromeda to a rock as a sacrifice. Perseus, son of Poseidon, rescues and marries Andromeda. Queen Cassiopeia was never punished for her boastfulness, which angered Poseidon. Because Perseus kept the queen from being punished, Poseidon ties Cassiopeia to the throne in which she still sits, circling the sky upside down. Cassiopeia is the 25th largest constellation. Its brightest star is Beta Cassiopeiae, also known as Caph, meaning “palm” in Arabic. Various meteor showers pass through the constellation, and inside are a multitude of deep-space objects. These include the Messier M52 open star cluster that’s visible with binoculars, a large gas cloud called the Pacman Nebula and a remnant of a supernova called Cassiopeia A. 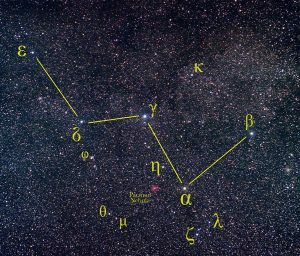 After coming to BU and talking with other astronomy students, as well as exploring the online community of astronomy-lovers, I have found that Cassiopeia is a favorite asterism for many others. But that won’t stop me from loving the Queen, whose beauty will never fail to disappoint me.